How is everyone doing today? I'm okay. I just feel a little bit out of it for whatever reason. 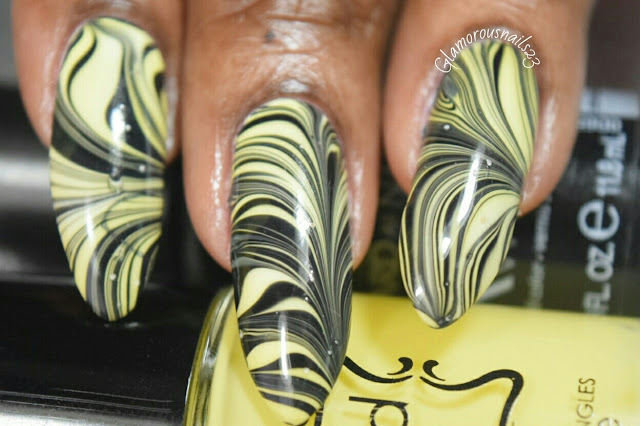 Today I have some black and yellow watermarble nails to share with you. I know two watermarbles in one month! As my daughter would say "What!! No way!!"Lol. Let's see how these turned out! 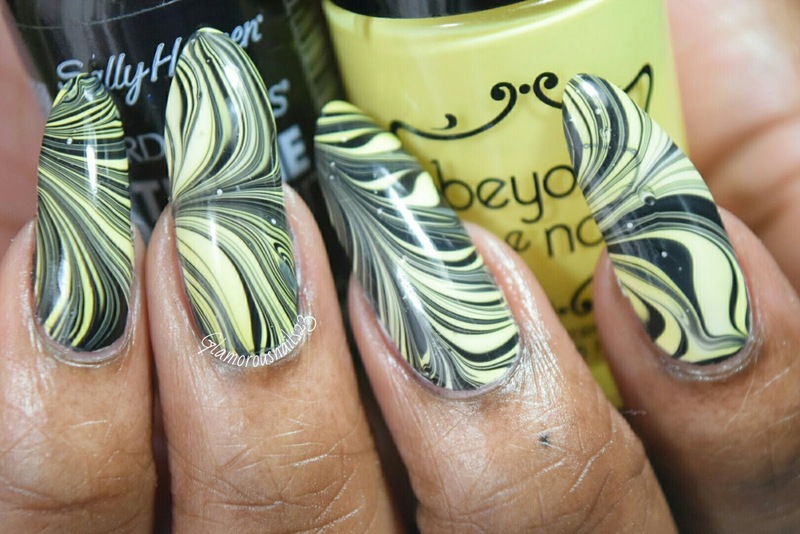 You can find the the Beyond The Nail Spring Collection here. I really love how this turned out. 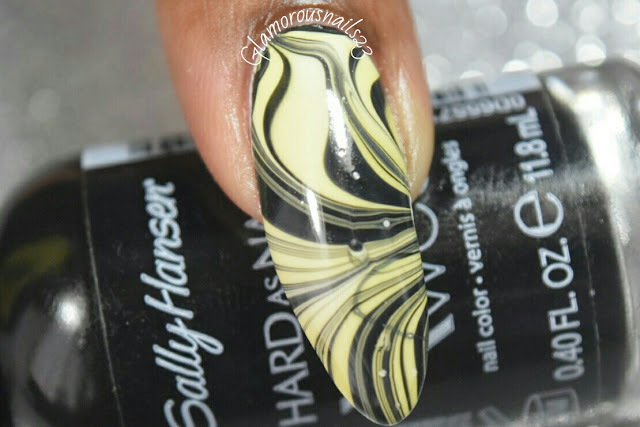 Watermarble is so much fun! I really need to attempt to do a dry watermarble and a decal though. 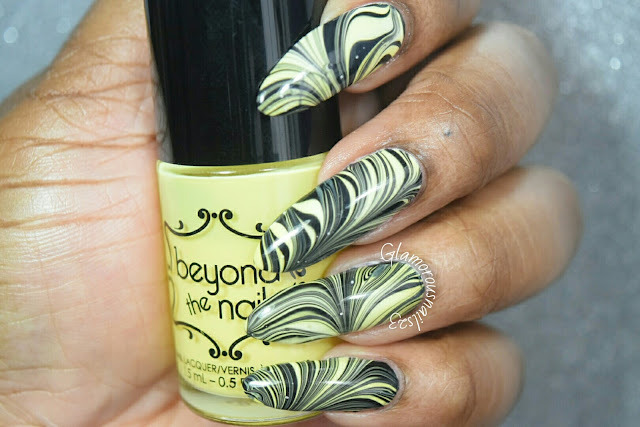 What did you guys think of this watermarble? I really like it! 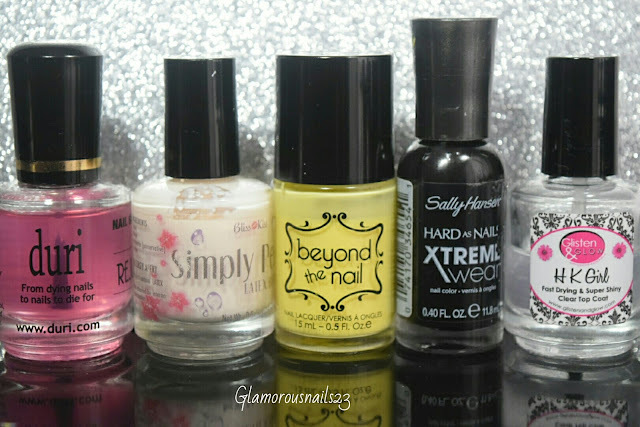 Do you own any polishes from Beyond The Nail? what to say, amazing really ! i have never tried .. Thank you! I love doing watermarble and now there's so many different techniques for this design!